Travel Business opportunity open to anyone call today. Our franchise programme offers lots of added benefits and unique reasons to join. 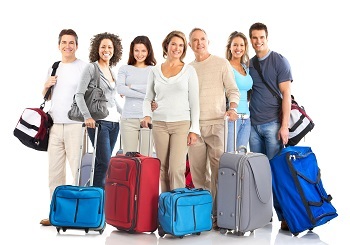 See below a selection of just some of the great things you get with our Travel Franchise. As you watch our online presentation you will understand the importance we put on helping you market your travel business and gain bookings. After all, if you don’t make bookings we do not make money – so we have a vested interest in your success. We are so confident in our travel business and business model that if you join us as a Travel Consultant Pro or Elite we will give you your entire investment back (minus VAT) should you hit a very achievable sales target during your first twelve months in our business.This incentive is there for everyone and the figure required to achieve this will be much smaller than you are imagining right now. However, just because we give you twelve months doesn’t mean you cannot do it quicker. We already have people who have received their entire investment back after just five months – and they never had any travel experience before joining us.